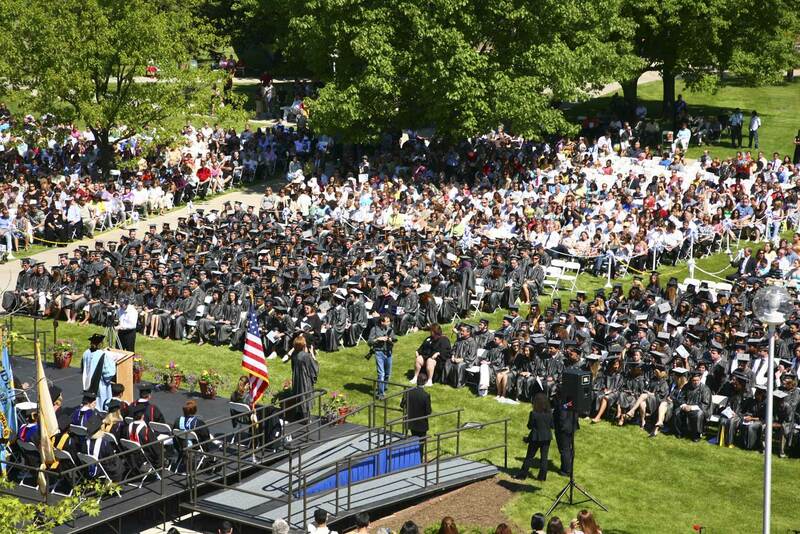 EDISON—The Middlesex County College Class of 2009 formally graduated on Thursday, May 21, at the 42nd annual commencement exercises. A total of 1,118 degrees and certificates were awarded in ceremonies witnessed by more than 3,500 guests under sunny skies on the college green. Valedictorian Saarth Shah of Edison delivered the class welcome, sharing his experiences and aspirations since emigrating from India two years ago. Shah earned a 4.0 grade point average as a computer science student and served as an officer of Phi Theta Kappa, the undergraduate honor society. 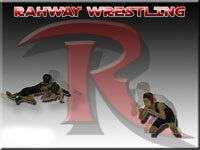 He will continue his education at Rutgers University. Approximately 545 members of the Class of 2009 participated in the exercises, representing the 304 graduates of January 2009, 553 of May 2009 and 261 who completed studies in August 2008. Participants included several students who fulfilled the requirements for more than one degree or certificate during this academic year. Dr. Karen L. Hays, vice president for academic and student affairs, presided. Greetings were delivered by Dr. Joann La Perla-Morales, College president; Dorothy K. Power, chairman of the Board of Trustees; and Ronald G. Rios, Freeholder liaison to Middlesex County College. Dr. Beverly Simon, Computer Science and Information Technology professor emerita who retired in December 2008, led the academic processional as Grand Marshal. She served the College for more than 28 years. Dr. La Perla-Morales, sixth president of the College, conferred degrees and certificates of achievement to the graduates, who were introduced by Deans Marilyn Laskowski-Sachnoff and Dr. Reginald K. Luke. Dr. Hays presented the candidates for graduation and conferred the Frank M. Chambers Award for Academic Excellence to four graduates, in recognition of their earning a 4.0 grade point average. Shah is a Chambers Award winner and he is joined by the Salutatorian, Katalin Frolio of Ewing, who received Associate in Science degree in mathematics; Seunghee Hwang of Edison, who received an Associate in Science degree in chemistry; and Samantha Nicole Schoen of Piscataway, who received an Associate in Science degree in Business Administration. 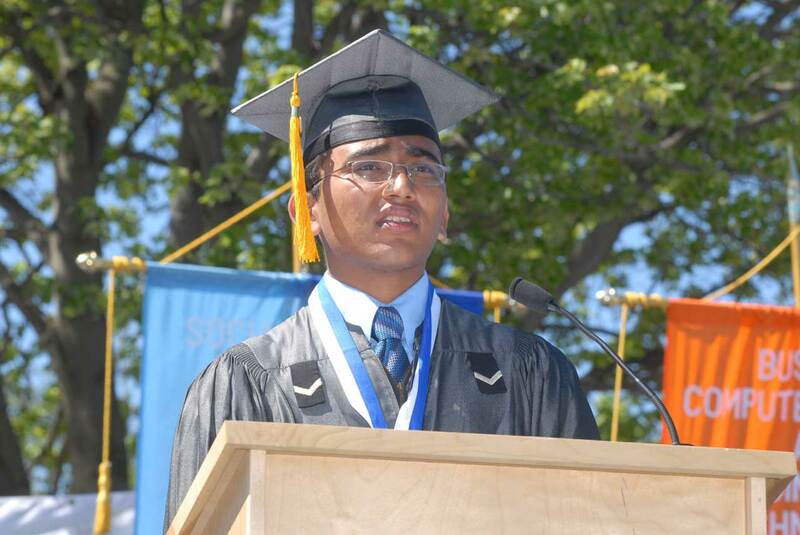 Speech of saarth was “ok.” Graduation ceremony was amazing exept this guy’s speech.